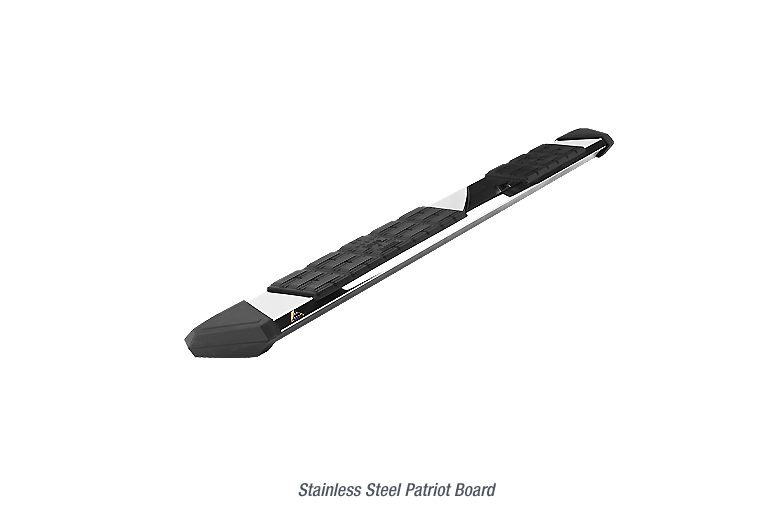 The Iron Cross Patriot Boards blend aggressive angles with the luxury of OEM steps. These steps allow you to show your true Patriotism with the Folds of Honor ensignia molded into the step pad as well as the folded flag emblem affixed to each board. A portion of each sale is donated to the Folds of Honor foundation. FOH provides scholarships for education to the families of our nation's fallen or severely disabled soldiers. Iron Cross Automotive is proud to support such an honorable charity and you will be too.